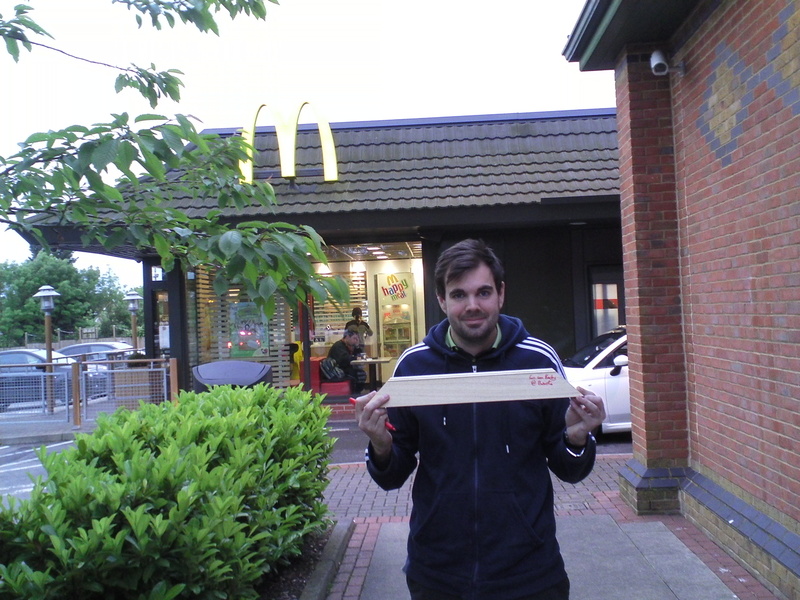 I followed Amanda’s directions and visited the Mc Donald’s near the ASDA in Lower Earley in order to find James. When I asked the Mc Donald’s management if James worked there I was told that the last employee called James had left over a year ago. 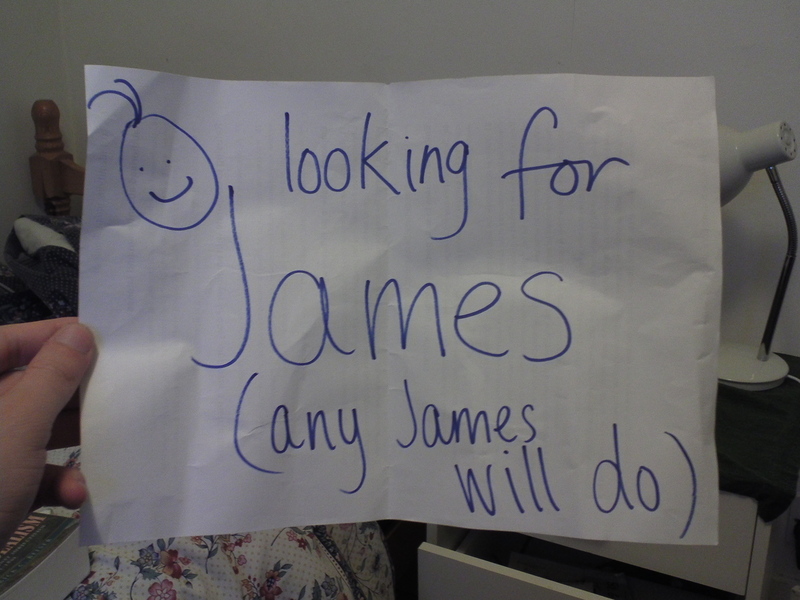 After attracting attention from everybody except anybody called James, I changed strategy to asking at neighbouring store outlets whether or not they had available any employees called James. James Hobbs is the James in the photo. He agreed to participate in 25 Pockets of Leamington Spa once he had finished his shift at M & S.
I waited for him to finish his shift and then intercepted him as he exited out the back door. For the montage, James told me to get a packet of fries from Mc Donald’s and then sent me to see Becky at Boots at the Oracle shopping centre.